For over 30 years Orange and Sullivan county has trusted Richard Goodspeed for installing their homes most important asset, the roof. Experts in all areas of roofing including new installation, reconditioning, and restoration. Transform the look of your home with a new siding and windows. Our expert staff will refinish the exterior of your home, and leave a brand new appearance. Add functionality and value to your home with a new addition or deck. Host a summer party with a new deck or watch the championship games in your new addition. Whatever you dream Goodspeed Construction delivers. You have just found one of the only hands-on owner operated full service construction companies in the Middletown, NY. We will help you through your project with professional service whether small or large. We are experienced in all aspects of construction including roofing, siding, windows, decks, additions, and more. 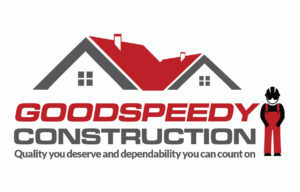 At Goodspeedy we just don't promise quality and expertise, we promise you honesty and service. When you hire us, you get Richard Goodspeed. Richard is at your job from start to finish to insure that your work is done right the first time, and done with the upmost professionalism at a price that is fair. We pride ourselves in being a local owner operated business in the Hudson Valley for over 30 years. Contact Richard Goodspeed to help you with your home improvement.